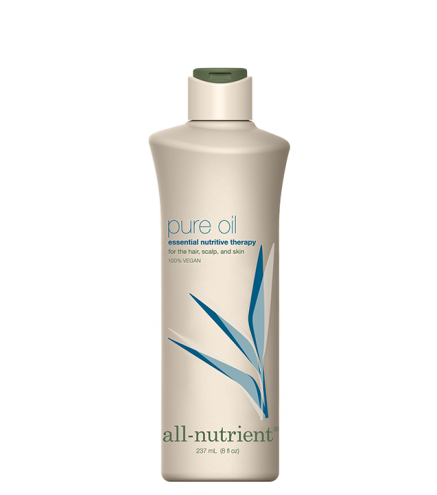 A blend of moisturizing, deep-penetrating all-natural oils, this product produces dramatic results on the hair, scalp, and skin. Rainforest Cupuaçu and Shea Butter impart shine and increase elasticity. Tocopherol (Vitamin E) and Alpha-Bisabolol (derived from Karite Fruit Oil) hydrate the hair and restore suppleness, which enhances the result of any chemical service. Chamomile, loaded with anti-inflammatory properties and essential oil compounds, helps soothe the scalp, making it great for even the most sensitive of skins. Apply sparingly as needed to the hair, scalp, and skin. If necessary, remove excess oil with a shampoo. For a deep conditioning treatment, combine with Protein Complex. Apply to damp hair and leave in for 10 minutes. Rinse and repeat. For chemical services, add 5 to 10 drops. This product contains no sunscreen.